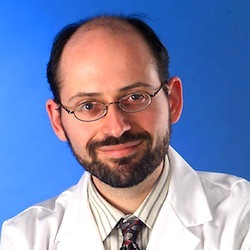 Michael Greger, M.D., is a physician, author, and internationally recognized professional speaker on a number of important public health issues. Dr. Greger has lectured at the Conference on World Affairs, the National Institutes of Health, and the International Bird Flu Summit, among countless other symposia and institutions, testified before Congress, and was invited as an expert witness in defense of Oprah Winfrey at the infamous “meat defamation” trial. Currently Dr. Greger proudly serves as the Director of Public Health and Animal Agriculture at the Humane Society of the United States. Dr. Greger’s recent scientific publications in the American Journal of Preventive Medicine, Biosecurity and Bioterrorism, Critical Reviews in Microbiology, Family & Community Health, and the International Journal of Food Safety, Nutrition, and Public Health explore the public health implications of industrialized animal agriculture. Dr. Greger is also licensed as a general practitioner specializing in clinical nutrition and was a founding member of the American College of Lifestyle Medicine. He was featured on the Healthy Living Channel promoting his latest nutrition DVDs and honored to teach part of Dr. T. Colin Campbell’s esteemed nutrition course at Cornell University. Dr. Greger’s nutrition work can be found at NutritionFacts.org, which is now a 501c3 nonprofit charity. His latest two books are Bird Flu: A Virus of Our Own Hatching and Carbophobia: The Scary Truth Behind America’s Low Carb Craze. Dr. Greger is a graduate of the Cornell University School of Agriculture and the Tufts University School of Medicine. All speaking fees and proceeds Dr. Greger receives from the sale of his books and DVDs are all donated to charity.